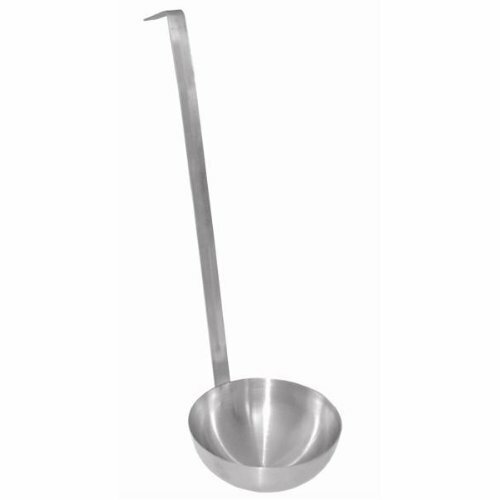 Every Restaurant and Cafe Needs Good Ladles; They Are an Essential Part of AWorking Commercial Kitchen. Ladles Can Be Used For A Number Of Tasks,Including Serving Soups, Stews, Purees, And Sauces. This Stainless Steel TwoPiece Ladle Has A Mirror Finish And Can Be Easily Cleaned, And ConvenientlyStored On A Pot Rim Or Hung On A Rack With The Hook Handle.